Science fiction has taught us to fear things that are out of our control. Whether its alien invaders from another planet, highly-evolved apes or artificially intelligent robots, sci-fi culture is built on humanity’s fear of being second in command. With that being said, automated equipment and robotics are the basis of any smart factory, meaning that to stay competitive, manufacturers must learn to embrace this technology. The Internet of Things (IoT) and Industry 4.0 are two terms that have dominated industry in the last couple of years. While some may consider the two trends to be nothing more than buzzwords, others believe them to be a concise description of the future of automated production. Put simply, a smart factory will use IoT connected devices to communicate commands between machines or production lines. The benefits of a fully connected industrial facility have been highly publicised: a reduction in costs, an increase in efficiency and the ability to modularise the complexity of a system. The sudden influx of intelligent software and advanced hardware may seem intimidating, but this modularisation allows a number of manufacturing processes to take place simultaneously – a major advantage for those attempting to create a fully flexible manufacturing facility. For example, food and beverage manufacturers could use modularisation to produce a wider variety of recipes and products. Rather than making different products on separate processing lines, modularisation allows manufacturers to connect or combine modules, enabling them to create customised products within one single facility. Automated industrial equipment forms the foundation of any smart factory, but this increase in sensors and intelligent machinery brings several challenges for software engineering too. Smart factories should be capable of completing an array of customised, automated process, but with greater hardware complexity, manual software configuration becomes increasingly difficult. HMI/SCADA applications have already secured their place as a key enabler for any smart factory, collecting and analysing data from machinery on the production floor, right up to traditionally IT-focused applications such as PLM and ERP software. When paired with technologically advanced hardware, manual software configuration calls for high levels of technical engineering, increasing the risk of errors and heightening implementation costs. Naturally, humans are reluctant to give up control; however, embracing a fully automated facility does not necessarily mean a complete end to human interference on the factory floor. 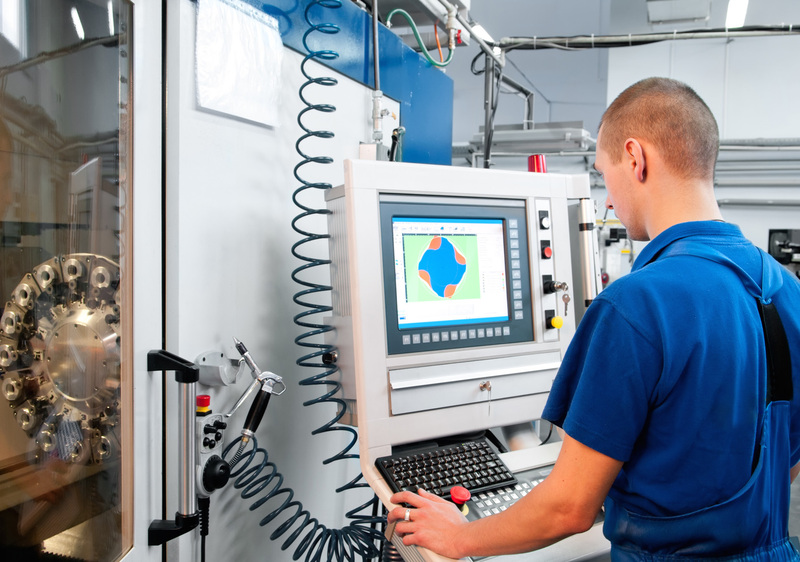 Following the investment in automated equipment and intelligent HMI/SCADA software, it is vital that manufacturers make investments in employee training, enabling talented engineers to focus on important tasks requiring human traits such as judgement, empathy and common sense. Science fiction may have taught us that artificial intelligence always goes wrong, but where manufacturing is concerned, embracing automated hardware and intelligent software may be the best way to stay afloat in this increasingly competitive market. Jonathan Wilkins is marketing director of industrial parts supplier, EU Automation.